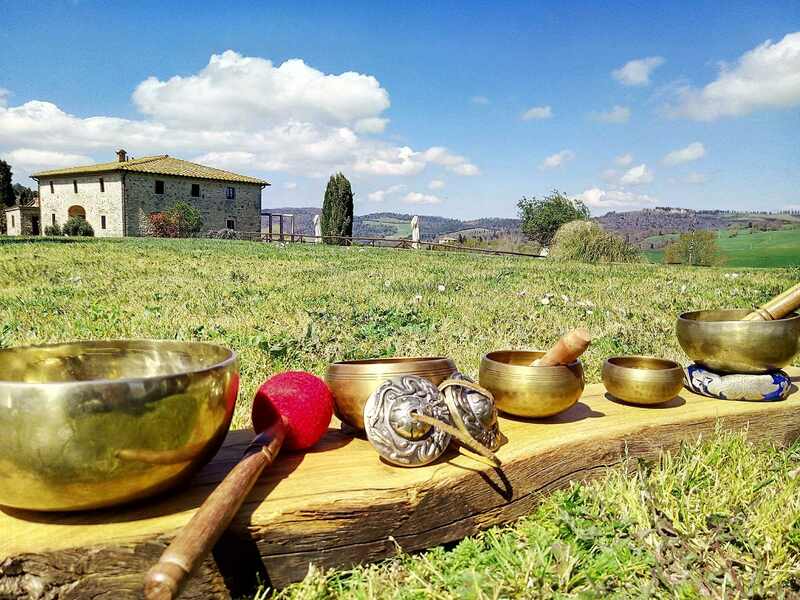 Our villa in Tuscany offers meditations with Tibetan bells. Tibetan monks of over 3,000 have used these bowls to achieve balance both from a health standpoint and to achieve spiritual balance. Tibetan bells are composed of seven metals (gold, silver, copper, lead, iron, mercury and tin) which correspond to the 7 celestial bodies and the 7 chakras. The vibrations produced by the Tibetan bells manage to modify the cells of the body, also interacting with the nervous system and the neurons, thus causing a great mental relaxation. 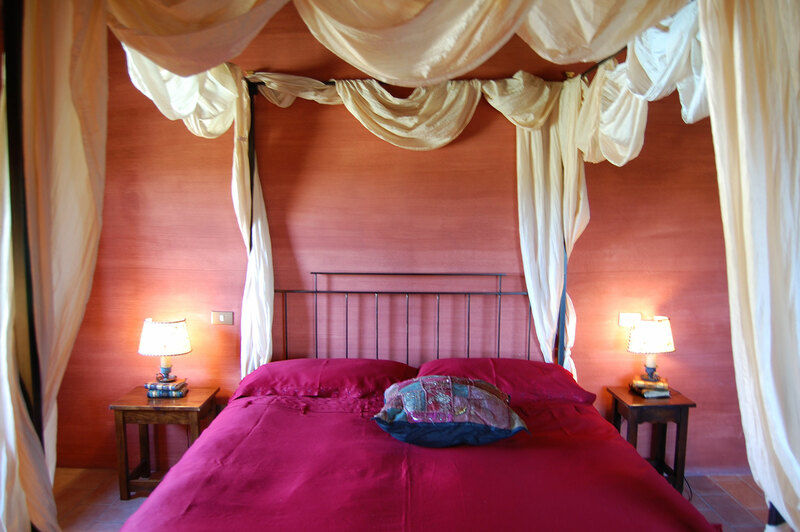 The villa can comfortably accommodate 10 people as it has 5 bedrooms with bathrooms, 3 living rooms, 3 kitchens, a loggia with a large table and a beautiful panoramic pergola with a table and a living room where you can admire fantastic landscapes. The 5000 square meter garden also has a beautiful stone oven where guests can prepare bread and pizzas. Free then, all guests can take Yoga classes in the Villa and cooking demonstrations. 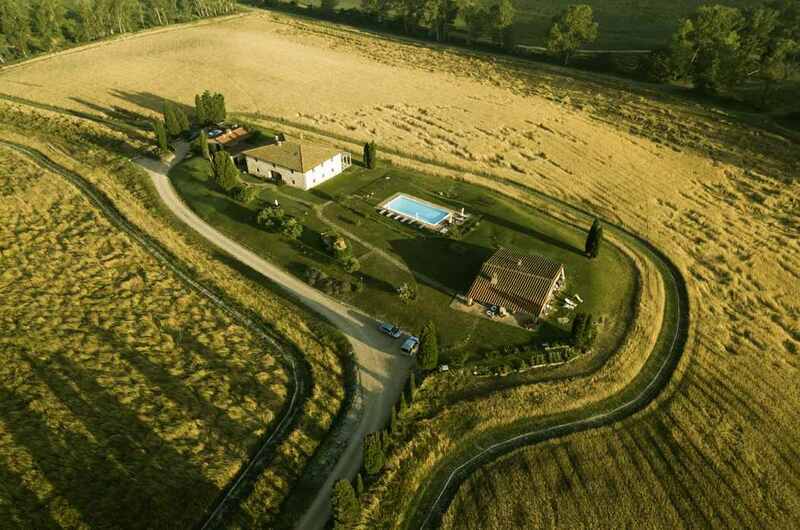 Paola and Valerio, the owners, will welcome all gay, lesbian, bisexual and transgender guests who decide to book a holiday in the villa in Tuscany. 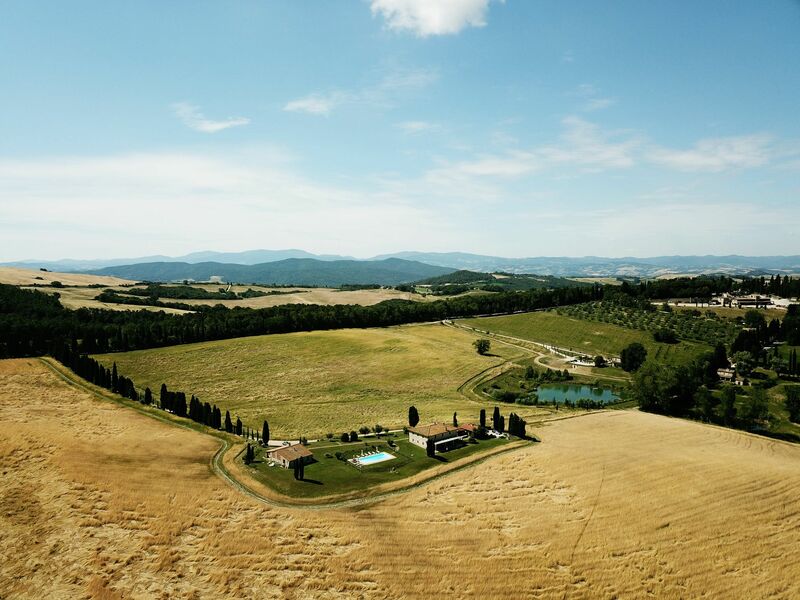 May, among the laughing hills of Tuscany, rent your villa to spend a week or a weekend with your family and friends. 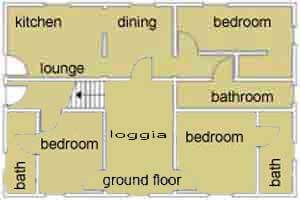 The villa that we propose is an old renovated farmhouse on 2 floors with 5 large bedrooms that can accommodate 10 adults and 2 children. With its 5 bathrooms this villa guarantees to all guests a high degree of comfort, the common areas such as the loggia and the large pergola will allow guests who rent this cottage to be able to stay all together. 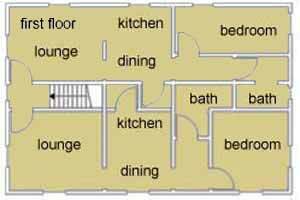 To enrich this property there is a beautiful swimming pool that will open in May and allow you to relax. The villa also has an old stone oven, so all guests can try their hand at preparing bread and pizzas. For the guests who rent the villa there is the possibility to request breakfasts, lunches, dinners and tastings of cheeses and wines. 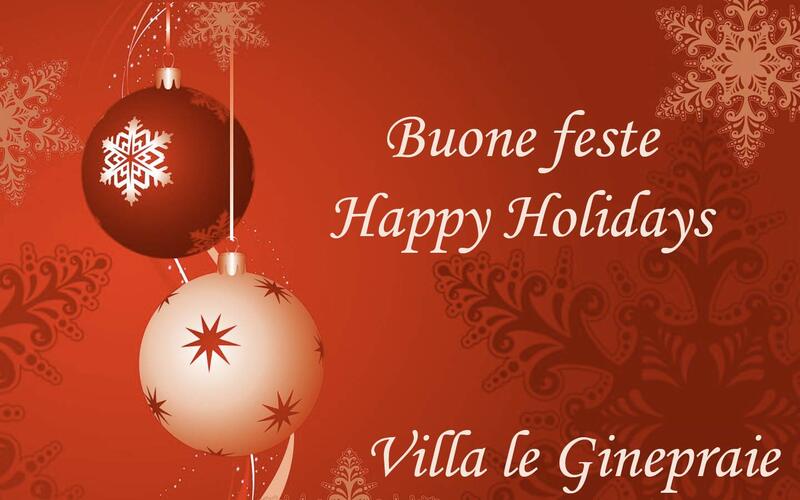 Villa le Ginepraie wishes you a Merry Christmas and a happy new year !!! !